A 40’ X 100’ inner-city lot in the upper-scale River North neighborhood. 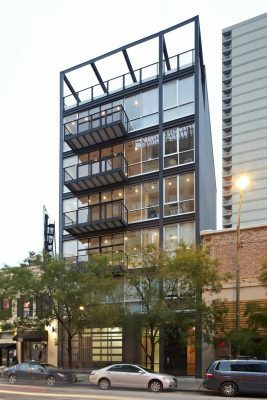 The property is bordered by the street on the West, an alley on the East, and two-story commercial buildings on the North and South. 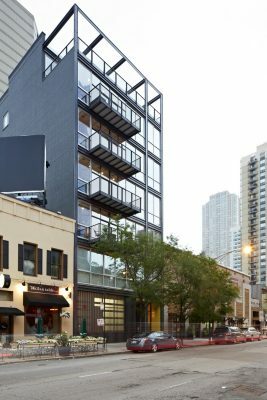 Clean lines and a palette of industrial materials give this project at 747 North Clark an authentic, urban feel. 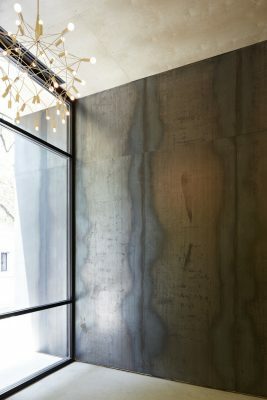 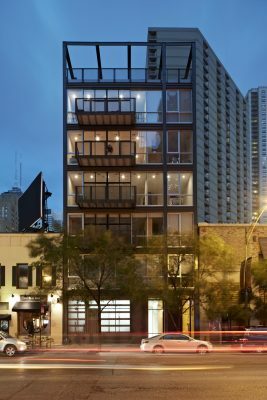 In line with the modernist roots of Chicago’s architectural heritage, steel and glass are the principle facade materials. To that restrained paring is added a charred oak entry door, hot-rolled steel siding and natural finish wood ceiling. 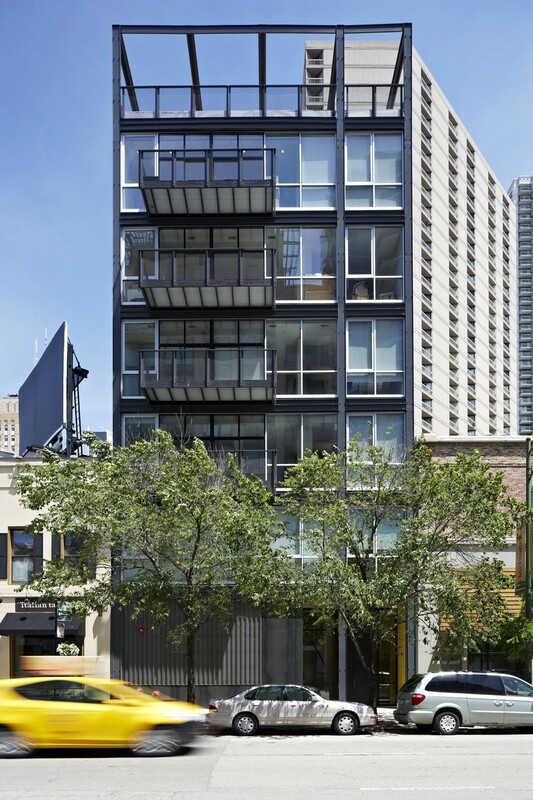 A bold splash of color marks the lobby and draws you in to this new icon of the River North neighborhood. 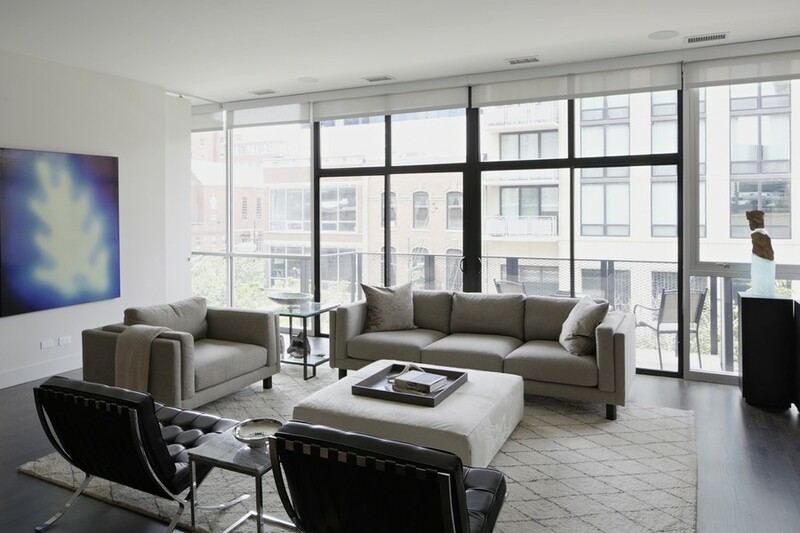 Each condominium is arranged on its own floor, with private in-unit elevator access. Full-length windows cover the entire West side of the homes, allowing for a large amount of natural light. 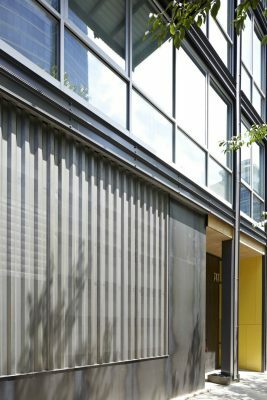 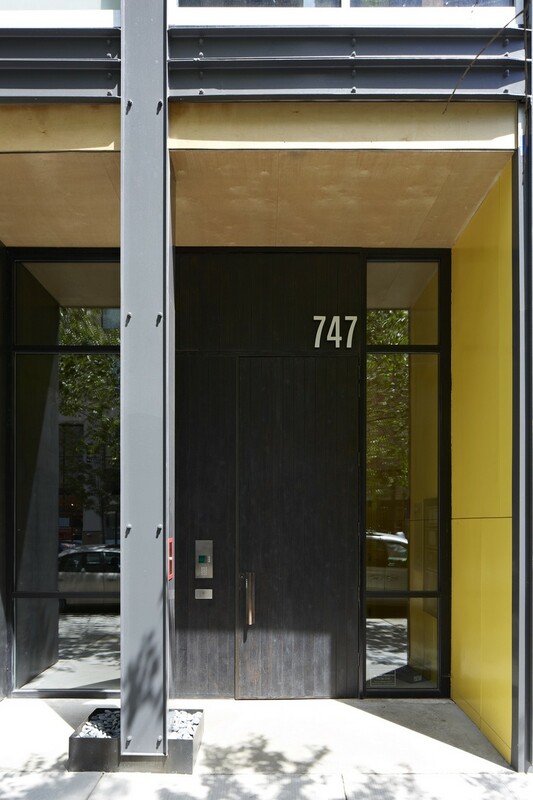 Custom finishes, including imported Italian cabinetry, complete the seamless interior and contrast nicely with the visually raw materials on the building’s exterior. 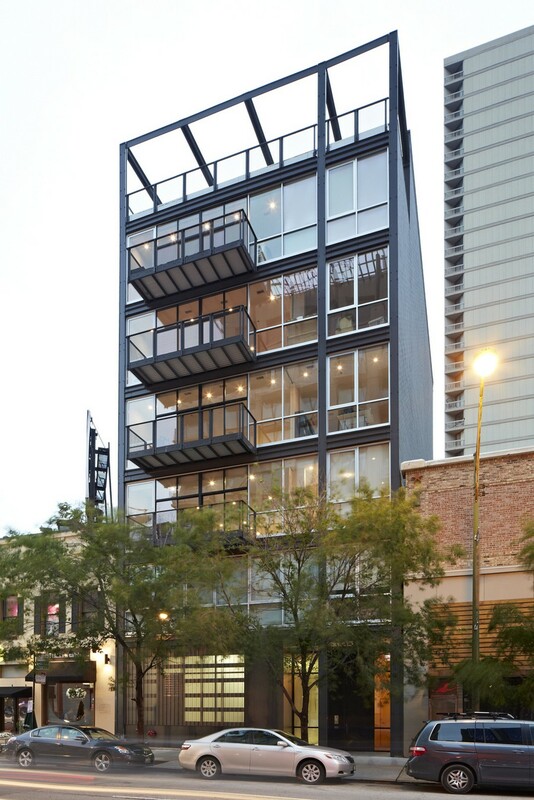 All units are between 2,000–2,580 square feet, and include private balconies and/or private terraces. 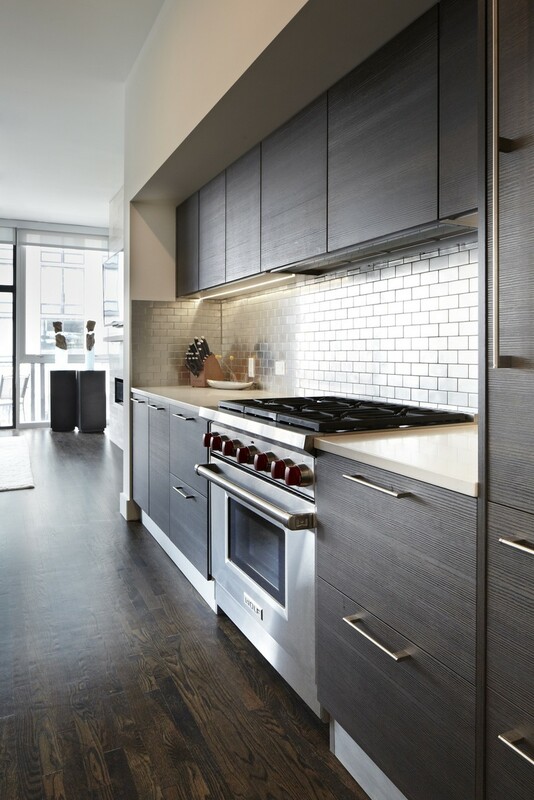 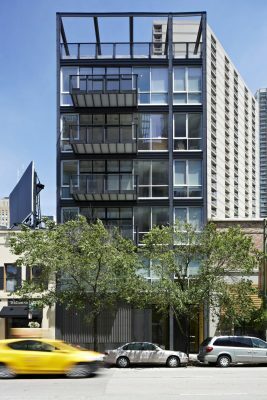 747 North Clark is a refined, yet industrial home for the urban, working family. 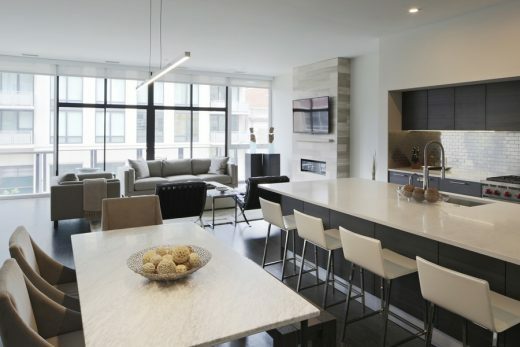 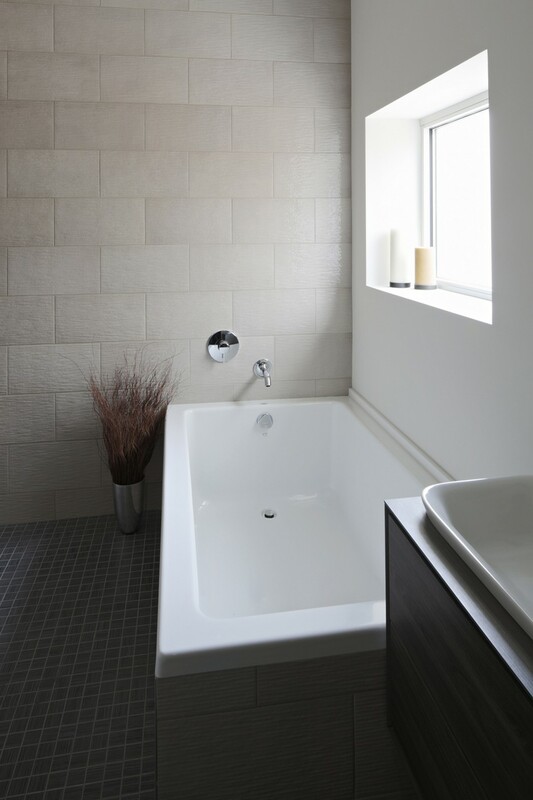 The upper-scale, open-plan designs allow for extreme comfort and seamlessness between working and living.